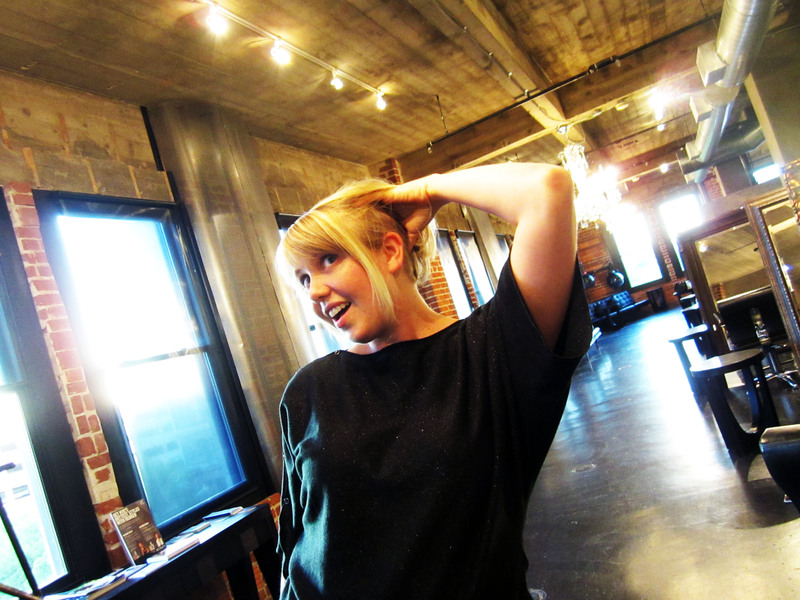 Lofty Goals, or: How I ended up with fabulous hair. Guys, I feel a little guilty. I’ll admit I have a stylist who I love very much but have been in a long distance relationship with. It was fine when I was working part time with my days off midweek instead of weekends and I could make the trip to LA on a weekday and not miss any work or time with my family. Then I started working 9-5 (what a way to make a livin’) and my fabulous hair window narrowed considerably. After almost a year of grow-out and no chances to run to my beloved hair-star Tanya, I made the tough decision to cheat on her (eep!) with someone local. I mean, my whole personal mission is to do my part to keep my cash downtown and I follow that in almost every other way, why shouldn’t I have my hair done here as well? Lucky me there is place right here on the Fulton Mall that fit the bill. 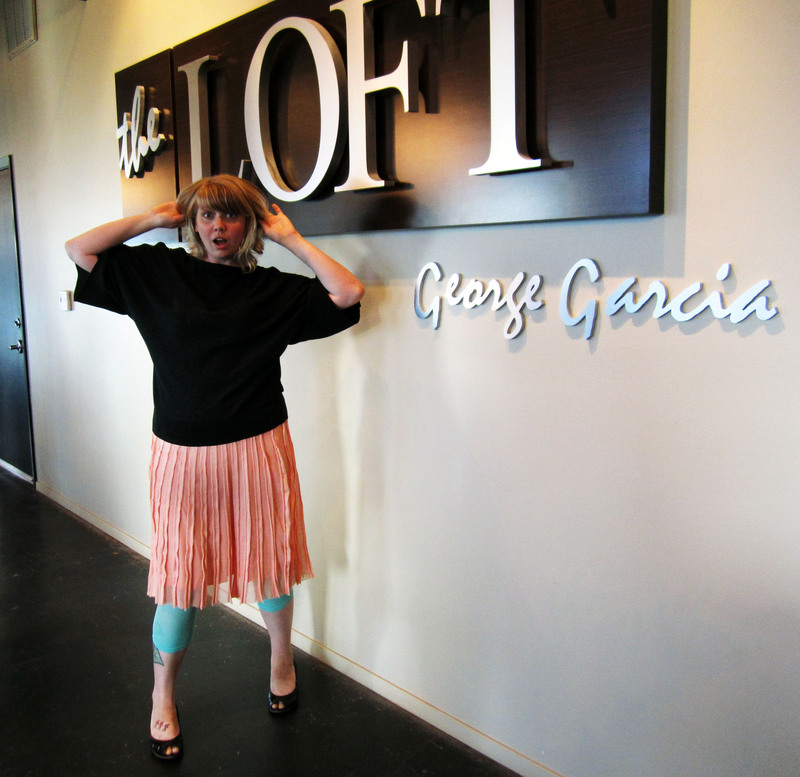 The Loft by George Garcia is exactly the kind of place you’d expect to find in LA or New York, which is no surprise since Garcia spends a lot of time traveling between Fresno and New York (and everywhere in between) spreading the gospel of great hair. Exposed brick walls, polished concrete floors and chandeliers give The Loft it’s urban sophistication but the stylists give it the reputation as the best place in Fresno to get your do-done. I’ve heard great things about all of their stylists and have had the pleasure of getting a beautiful cut from George Garcia once, but since two of the three of us DFP blondes go to Veronica I decided to make it a 100% effort. Now, let me say this and say it clearly: Veronica gives the absolute best shampoo/scalp massage you’ll ever have. Honestly- this may have been the most relaxed I’ve been in months. She’s also great because she explains what she’s doing as she works so there’s no element of surprise or “hey, you have a mowhawk!” moment. In my case I really appreciated it because part of her plan was to take the underside of my hair right up to my scalp to give me something that I could have fun with without compromising my “professional” appearance. I have a TON of hair, after all was said and done I now have about the same amount of hair as the average person. The whole experience was everything I could ask for in a salon- relaxing, fun and ego-boosting, with the added bonus of a great view from the second story of the Pacific Southwest Building. Before I left I gave Veronica the go-ahead to do whatever she wants with my hair from now on. 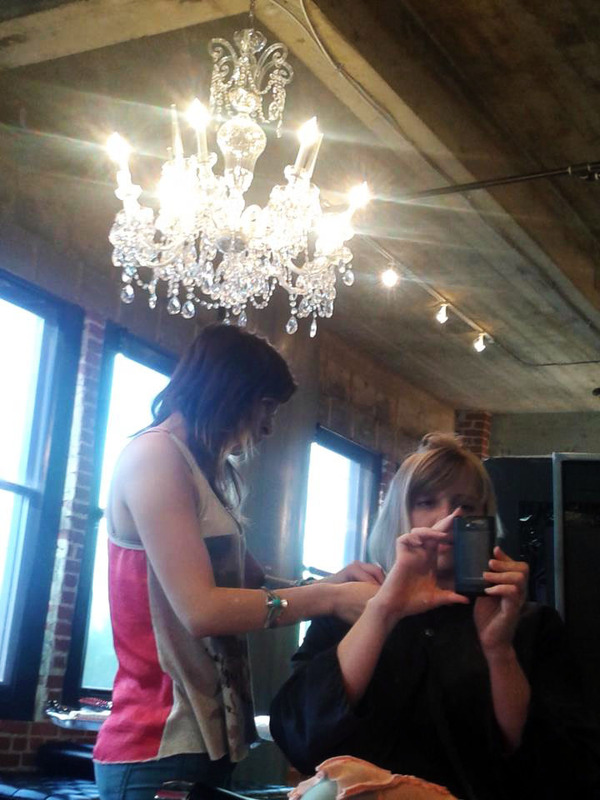 Switching stylists can be a tricky business and though I’ll always have a place in my heart for my far-away gal, I’m glad I have The Loft just a block away to give me the big-city salon experience and keep my hair looking great.